The figure used for this unit is a Confrontation figure from the Wolfen of Yllia set. It is available in the Confrontation Starter Set (1 figure). The name of the figure is Serethis. Last edited by ZBeeblebrox; February 29th, 2012 at 07:57 PM. The figures used for this unit are Confrontation figures from the Wolfen of Yllia set. They are available in the Wolfen of Yllia Fangs Unit Box (4 figures) and the Wolfen Army Box Set (4 figures). The name of the figure is Wolfen Fangs. Last edited by ZBeeblebrox; February 29th, 2012 at 07:58 PM. 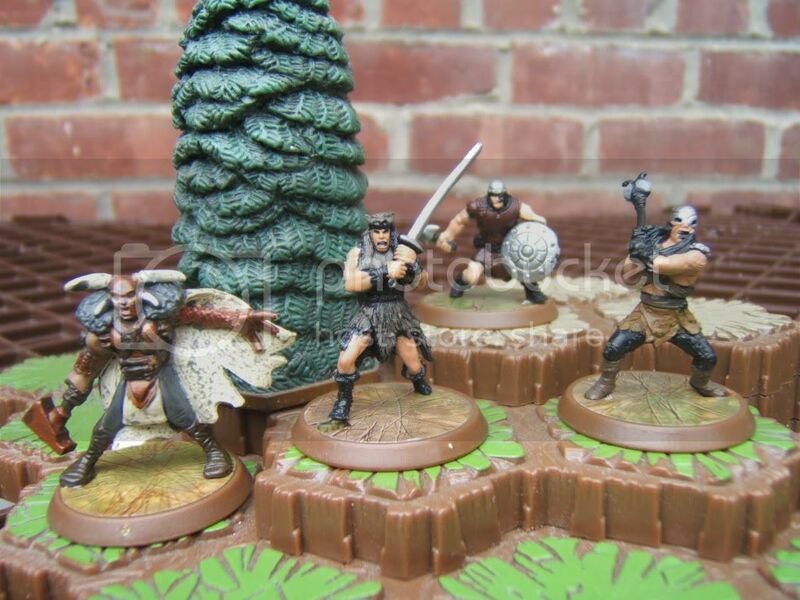 The figures used for this unit are Confrontation figures from the Wolfen of Yllia set. They are available in the Wolfen of Yllia Bloodthirsty Predators Unit Box (3 figures) and the Wolfen Army Box Set (3 figures). The name of the figure is Wolfen Bloodthirsty Predator. The figures used for this unit are from D&D Miniatures. Their model numbers and names are Barbarian Mercenary (25) from the Dragoneye set, Carrion Tribe Barbarian (46) from the Aberrations set and Human Bandit (66) from the Harbinger set. The figure used for this unit is a D&D figure from the Blood War release. The figure name is Maug/26. Last edited by ZBeeblebrox; January 31st, 2013 at 09:45 AM. Last edited by ZBeeblebrox; February 29th, 2012 at 07:59 PM. SNEAK PEEK - A Common Hero in development for C3V!! 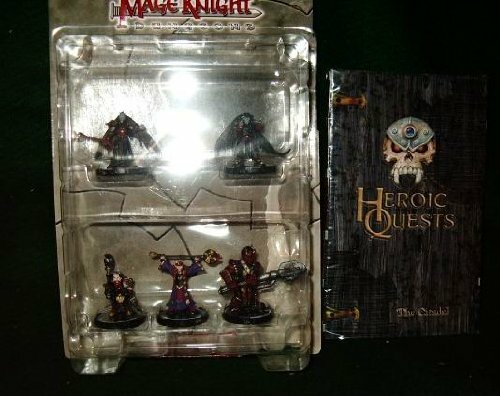 The figure used for this unit is a D&D Figure from the Deathknell Set. The Figure name and number is Bloodhulk Fighter/46. Last edited by ZBeeblebrox; June 6th, 2012 at 10:14 PM. SNEAK PEEK - A Unique Hero in development for C3V Wave 15.5! The figure used for this unit is a Bonechill Chimera figure from the Dungeons & Dragons Dangerous Delves set. Its model number and name is Bonechill Chimera #10. IMPORTANT: This is the first C3V figure that will not be ready out of the box. The wings of the original figure cause placement problems, so we have developed a quick and easy mod to correct the issue. OK Boil and dip method took less than 5 minutes after I got the water boiling. Step 4: Grab and pinch wings together at front elbows. Step 5: Cover with small piece of wax paper and clip with binder clip. Step 6: Place in Freezer and freeze for 1 min. Step 7: Remove from Freezer and remove clip and wax paper. Here is the Chimera about 1 week later. As you can see it still fits in a 2-hex hole and the wings have stayed relatively in position. Last edited by ZBeeblebrox; November 25th, 2012 at 12:03 PM. The figure used for this unit is an AT-43 figure from the Karmans set. The name of the figure is Mentor Freezer Hero Box. The figures used for this unit are Confrontation figures from the Wolfen Army Box set. Its model name is Sylvan Animae. They are also available in the Confrontation Wolfen of Yllia Animae Sylvestres Unit Box. Sneak Peek - A Unique Hero in development from C3V Wave 15.5! This figure comes in a pack of 6 mechs from in the Solaris VII Heavy-Class Action Pack. We have some ideas beginning to percolate for at least 3 more figures in this pack which is available for $12.00 at Minature Market. We are determined to use at least half of the figures in this pack, so you are not just purchasing this pack for one figure. Last edited by ZBeeblebrox; November 25th, 2012 at 12:09 PM. The figure used for this unit is a D&D Minis figure from the Lords of Madness set. Its model number and name is Kenku Wing Mage (26).